Shilajit is a very powerful substance in Ayurvedic medicine. For centuries, men and women have been using it for various health-related issues. It is a natural source of giving you a power boost and help people with stamina. When it comes to women’s health, shilajit is a very effective supplement. It is a great source of energy that positively affects the body mechanism. Shilajit has a number of health benefits for women that enhances the vitality of their body. It has turned out to be an excellent herb for working women as it increases the capability to endure the stress that comes with difficult tasks. Let’s take a look at the various benefits of Shilajit for women. Shilajit is a very useful substance for women, especially when it comes to their reproductive and sexual health. It regulates the blood flow in female genitalia. Researchers have found the traces of minerals in shilajit that can restore the necessary nutrition in women’s diet beneficial for reproductive system of the body. It is used to regulate the normal menstrual cycle and reduces the discomfort a woman experiences during periods. In addition to that, not only does shilajit cure irregular menstrual cycle, but also provides relief from premenstrual syndromes. Women experience frequent mood swings due to hormonal imbalance. It makes them struggle with a stable mood and also affects their wellbeing. By taking this supplement, they can get rid of the anxious and uneasy feeling. It helps with a stable emotional state and you can get a good night’s sleep and restore the natural sleep pattern by taking this supplement. Women often suffer from calcium deficiency and find it difficult to cover up for the deficiency through natural means. Shilajit serves as a natural supplement that decreases the symptoms of calcium deficiency. Moreover, it also strengthens the bones and enhances the muscular health. This supplement contains very powerful minerals and vitamins for women, especially when it comes to the health of their hair and nails. For example, the presence of Vitamin A, Vitamin B, Vitamin C, Vitamin D, Vitamin E, Zinc, and Iron makes it a very useful rejuvenating agent. 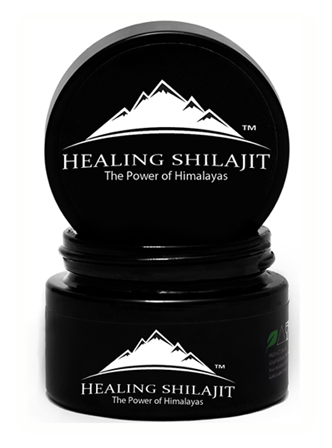 Using shilajit on a regular basis improves your overall health, gives a glow to your skin, and healthy hair and nails. A modern day woman has different social preferences and requirements. They certainly need an energy booster to successfully go through their day. If they use shilajit, it will support Adenosine triphosphate production, which increases the cellular energy in women. They will have the stamina to handle their day to day tasks without feeling lethargic and balance their personal and professional life. Shilajit is a very effective supplement for people who do not have strong bones. It improves the bone density and makes it strong. If you use it on a regular basis, it will reduce the risk of arthritis as you grow older. 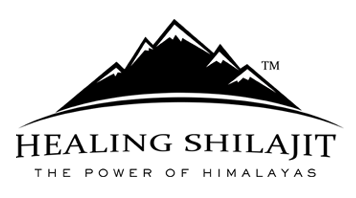 Shilajit, as a supplement, is loaded with fulvic acid. This particular component has very high antioxidant properties. According to recent studies, it has been very helpful in revitalizing different organs and gives a boost to brain health. The antioxidant compounds found in shilajit is the main source that has contributed toward a healthy brain activity. Women who want to enhance their cognitive health should use this supplement. A number of studies have shown that shilajit successfully controls anxiety, mood swings and enhances memory and cognitive function of the brain by stimulating brain activity. Try only sun dried natural shilajit to see the real health benefits.